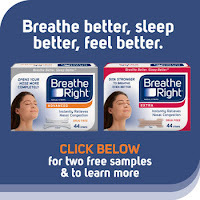 Get a FREE Sample Breathe Right Nasal Strips. 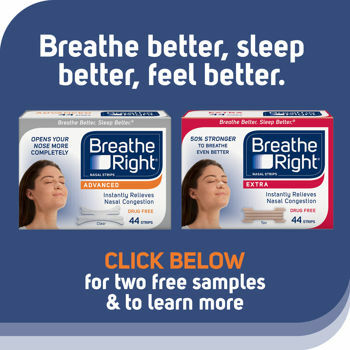 All you have to do is fill out your information and answer a couple of optional questions about the way you sleep. After that allow for 4-8 weeks for delivery.